Last week, we hosted our very first webinar, Selling Into Finserv: The Future of IT in Financial Services. In it, we had a great conversation with Emissaries from PNC Bank, Quicken Loans, and Vanguard about the challenges of selling into finserv organizations today. They’ve been on the buyers’ side and have a combined sixty years of IT leadership experience between them, so if you missed out, you might want to hear what they had to say. Here, we recap the highlights from the conversation, including what they had to say about tech’s impact on financial services, what today’s vendors can do to mitigate risk, and how paying attention to your prospect’s workplace culture can help you land your pitch. Our Emissaries all agreed: It’s an exciting time for technology in financial services. IT has become a key differentiator for businesses in the space, pushing leaders to adopt more agile processes to keep up with the fast pace of change. If you’re selling cloud solutions, you’re in luck. All of our Emissaries emphasized the importance of cloud technology in helping businesses achieve the agility they need to react quickly to market changes or shift course to capitalize on emerging trends. Swathy Vasudevan, a former IT leader at Quicken Loans, cited technology’s ability to improve the end-to-end customer experience as one of the driving factor’s behind IT’s rise. When customers are happy, businesses win, and today, streamlined digital experiences are the fastest way to capture their affection. Enterprise sales are always complex, but selling into financial services organizations can be even more challenging. While your product will be subject to rounds of scrutiny from decision-makers, they too will be under evaluation to make sure any new purchases comply with industry regulatory standards. “When you’re putting together a capture strategy, you need to keep this in mind,” said Adam Cummings, former VP, cybersecurity risk officer at PNC Bank. That’s why Adam suggested looking to see if there are any smaller business lines within your prospect’s organization that you could sell to instead as a means of circumventing the red tape that comes from trying to secure an enterprise-wide rollout. At PNC, for example, they attempted to first incubate ideas on a smaller scale, so that can be a great way to get around risk and showcase your product’s capabilities. The desire, he said, is there for new solutions—but only if you can reduce risk for your buyer upfront. It’s this balance between risk and innovation that many finserv organizations are wrestling with today. According to Swathy, the companies that succeed are those that have taken the time to develop strong and defined workplace cultures that encourage innovation and keep customer needs at the forefront. Large organizations with entrenched hierarchies and siloed departments, on the other hand, can make transformation difficult without a unifying message tying them all together. 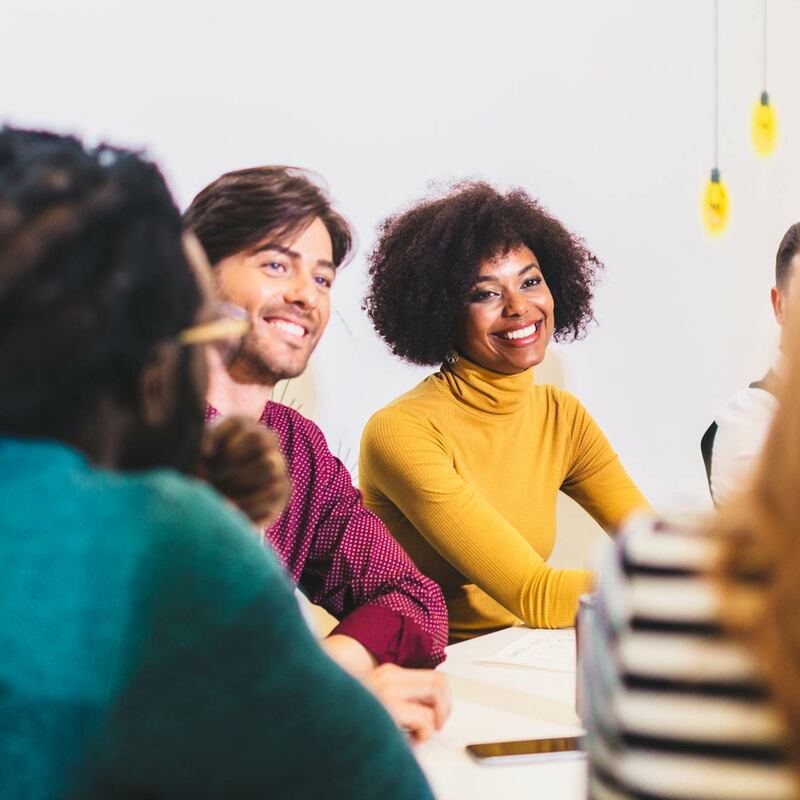 But culture isn’t just a way for finserv organizations to get an edge in innovation—it’s a better way for salespeople to connect with their prospects. It’s hard to get a read on something as intimate as your buyer’s workplace culture on your own, and getting some inside insight from either an internal advocate (if you have one) or a former executive who’s worked there before can help you fine-tune all aspects of your presentation. As tech continues to boom in the financial services space, more and more vendors are rushing in to compete. In order to stand out and stay competitive our Emissaries all agreed that you need to keep a laser focus on your buyer’s needs at all times—no matter how diverse or focused they may be. As Adam mentioned, not all needs are created equal. Sometimes there’s a need that’s narrow, but other times, like with cloud security, there’s a broad array. A cloud security platform, for example, can perform many different security tasks, like visibility or data protection, so you need to not only understand what your product does best, but understand what your vendor needs most when crafting your message. One way to make sure you’re delivering solutions that your buyers actually need is by approaching them when you know they’re working on an initiative that your product could help with. Imad Samiulla, former global head of infrastructure architecture at Vanguard, stressed the importance of avoiding the cold call and entering into a conversation only when you’re prepared with enough information about the company’s current goals and the specifics about how your product can help them succeed. “The organizations are also interested in how their portfolio evolve as part of the initiative and how can you as a vendor participate in that?” Imad noted. Long sales cycles and stalled deals are unfortunate realities of selling into the enterprise, but our Emissaries discussed some ways you can get around them. The first way, Imad suggested, was to show results. Much in the same way that selling into a smaller department of a large business can help you avoid risk and demonstrate a proof of concept, showing results later in the game can help get a deal back on track. Imad has seen stalled deals turn around when sales people went the extra mile to show their dedication to the business. In one instance, that meant coming onsite at no extra cost to demonstrate how their solution could address the process challenges the business was facing. When conversations stall at this stage, Swathy found inside insight to be one of the quickest ways to turn things around. After all, there’s so much that could be gumming up the works, from your prospect’s workload to office politics to compliance. The only way to know—and know fast—is by going directly to the source and getting real human insight from a partner who’s worked at your prospect’s organization in the past. Our Emissaries, former IT Leaders from companies like PNC Bank, Quicken Loans, and Vanguard shared a number of tips on how IT sellers can navigate the tricky waters of selling into finserv organizations in our most recent webinar. They covered ways to manage risk (demonstrate your product’s capabilities first on a smaller scale), why tailoring your message (and appearance) to align with your prospect’s office culture can improve your chances of selling, and provided tips on how to stand out in a crowded space and get your deals moving again when they stall.